Providing a view from the end of the stylet. A simple, portable, durable, soakable and affordable scope for your smallest patients. 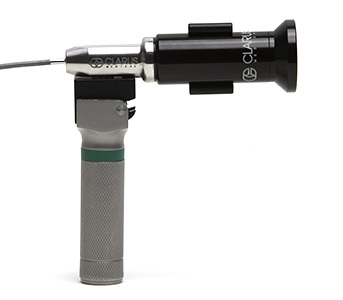 Small lightweight scope with standard eyepiece designed to allow connection with operating room cameras and monitors. Shikani Pediatric allows you to see around even tight corners. 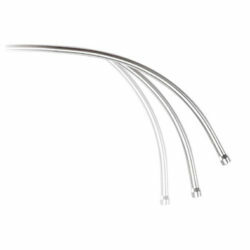 Superior access for your pediatric patients with the shapeable malleable stylet allows you to navigate the ET tube into the small tracheas following natural (or unique) curvature of your patient’s airway. 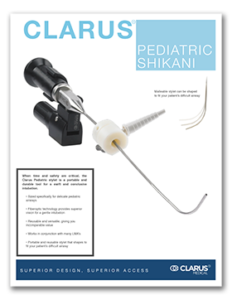 The Clarus Shikani Pediatric Stylet provides vision from the end of your tube. Adding fiberoptic visualization to an otherwise blind tube. Giving you access to steer the tube through the cords for an accurate intubation. 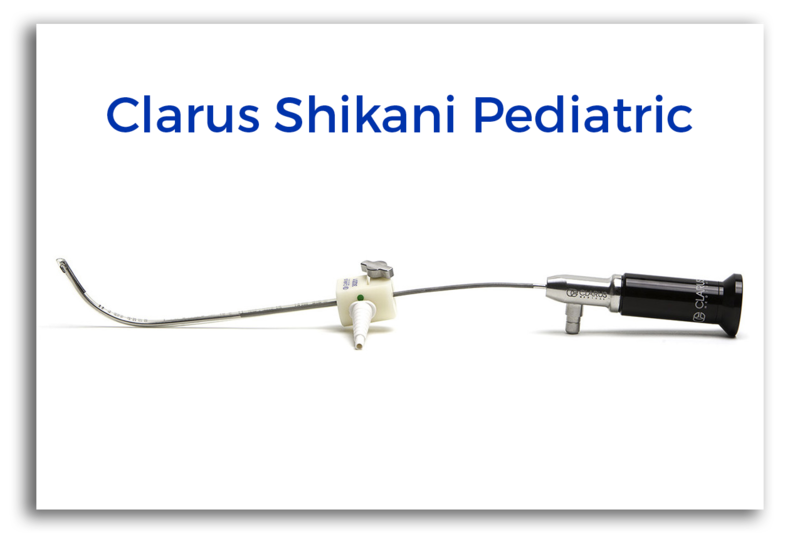 With an atraumatic tip for patient safety and malleability to fit your patient’s unique airway curvature, the Shikani Pediatric Stylet should be your first choice for difficult Intubations. 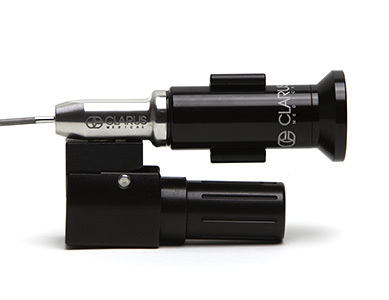 Rather than straighten your airway using pounds of force, use the malleable Clarus Stylet to gently steer through your patient’s natural airway curvature and through the cords. 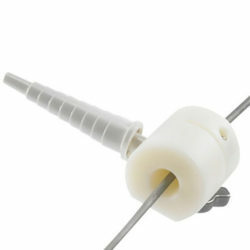 The adjustable pediatric Tube Stop allows you to position the tube just beyond the distal tip of the scope. Oxygen can be provided via the connector through the ET tube during intubation. Affordable option for hospital and personal purchase. The Shikani stylet and Turbo LED are fully submersible. 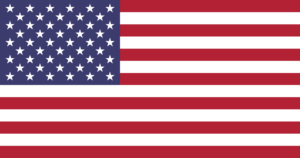 Common cleaning procedures include Steris, Sterrad or Cidex (No Autoclave). See full Directions for Use for additional cleaning instructions.